It's not so much that we like them, but in late 2018, we're getting used to notches on the whole. The Pixel 3 XL's bizarrely tall cutout, though, is particularly irksome. You can toggle it off in the phone's developer options, but doing so means the screen space on either side goes unused. Nacho Notch can black out the area on either side of the notch while still letting it show status bar icons. 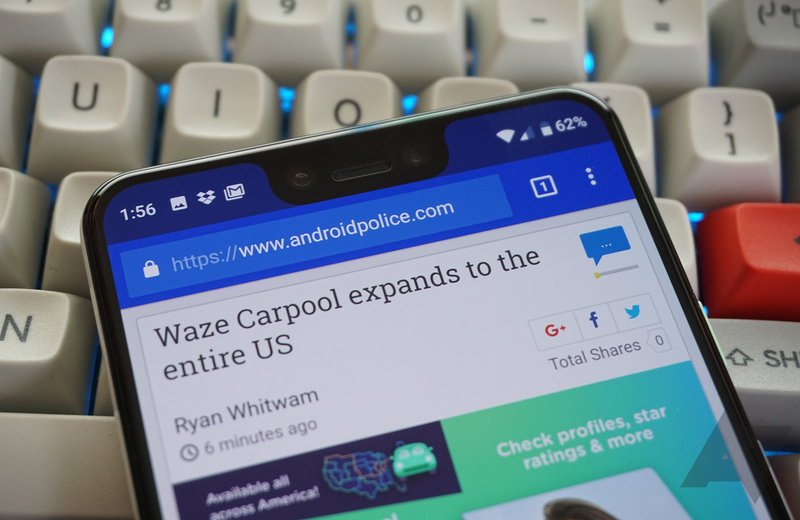 While many manufacturers of notched-display phones include the option to "hide" the cutout without disabling use of the screen next to it, Google opted not to do that with the Pixel 3 XL, instead providing only the option for the phone to act like the screen ends just below the notch. Nacho Notch automatically detects the height of your phone's status bar and turns it black while the device is in portrait orientation, letting you take advantage of the added real estate. The app isn't a perfect solution; it won't show up in landscape, on your lock screen, during phone calls, or while using any fullscreen app. Still, if you're the rare breed that's dead set on a Pixel 3 XL but can't stand its notch, it could be worth a look once you've got your phone.